It’s said that location is everything in property investment …. and Birmingham certainly has location going for it. Its heart of England location means Birmingham is probably the best-connected place in the UK bar none. It is at the very centre of the UK rail network, the UK motorway network while Birmingham Airport is fast expanding. To top it all off, HS2 arrives here in 2026 putting London just 49 minutes away. The City of Birmingham itself has a population of 1.1 million – but 5.75 million people live in the wider region. According to the West Midlands Combined Authority, the West Midlands economy is worth around £80 billion. Birmingham is very much a city of transformation at the moment. A one-time engineering centre – known as the workshop of the world – the city is fast becoming a very significant commercial centre. Professional services like banking, finance and law are major city centre employers. Building on its manufacturing heritage Birmingham is now strong in high tech. manufacturing too. An emerging new industry here is connected and autonomous vehicle or CAV technology, which could be massive in future. Big investors certainly see lots of potential in investing in Birmingham too. There are some very big city centre development schemes underway – including the completion of Snowhill, Paradise and Arena Central with Birmingham Smithfield the next big development to start. Deutsche Bank has an HQ here, HSBC has made it the HQ of their new UK retail bank (where 4,000 people will work eventually) and a huge new Government Hub will be based here. The new National College for High-Speed Rail is also located in Birmingham. Very importantly the West Midlands has devolved powers from the Government with Andy Street as metro mayor. So the region can run its own affairs in areas such as transport, housing and economic development. The Midlands Engine Coalition is doing stellar work in promoting Birmingham as a place to invest and in attracting foreign investors. Birmingham will host the 2022 Commonwealth Games which a local press report says will boost the economy by £1.5 billion. Birmingham is a major university city with around 80,000 students at three large and several smaller universities, so there is a huge student property market too. Birmingham is a major centre for retail and leisure attracting visitors from right across the Midlands. The Bullring Shopping Centre is estimated to have more footfall than any other shopping location save London’s Oxford Street. The restored and regenerated canal side areas alongside Brindleyplace and Gas Street Basin are now a popular leisure and dining district. While the Arena Birmingham and International Convention Centre host thousands of visitors annually. A lot of investment is being put into public transport in Birmingham. The Midland Metro tram system is benefitting from a £1.3 billion expansion which will see lines to Edgbaston, Brierley Hill, Dudley and Solihull over the next few years. A new Sprint rapid transport bus network of seven fast routes is in planning too. Another exciting development is that Birmingham will be one of the first cities to get 5G superfast mobile broadband. Twenty-five per cent of the city will have 5G by 2021. When it comes to property values Birmingham is in something of a unique situation. Although the West Midlands is just a stone’s throw from the expensive south east, Birmingham property prices are more in line with the north. So, it might be thought of as something of an up-and-coming location for property investors. According to research by Hometrack, the average house price in Birmingham is now £163,000 – slightly less than both Leeds and Manchester property. That represents a 5% rise over the last year and a steady 41.4% rise since the financial crisis of 2008. There are some very strong fundamentals that mean good rental property in Birmingham should always be in strong demand. ONS forecasts suggest the 1.1 million population will grow by almost 20% or 200,000 by 2039. Official forecasts say Birmingham needs around 89,000 new homes by 2031 but space for only 51,500 has been identified within the city itself. Birmingham offers property investments to suit every kind of investor. Here we’ll look at a few of the most popular areas for Birmingham property investments, and at prices and at what sort of rental yields you might expect. Birmingham city centre is becoming ever more popular with professionals who want to live near work and to all the city centre amenities. Birmingham city centre apartments vary from new build blocks, in locations such as the Mailbox area, plus conversions and period properties which the Jewellery Quarter is notable for. Totally Money’s Buy-to-Let Rental Yield Map 2018/2019 says Birmingham city centre landlords can expect a yield of 5%. Fringing Birmingham city centre to the east both these areas are worth keeping an eye on. 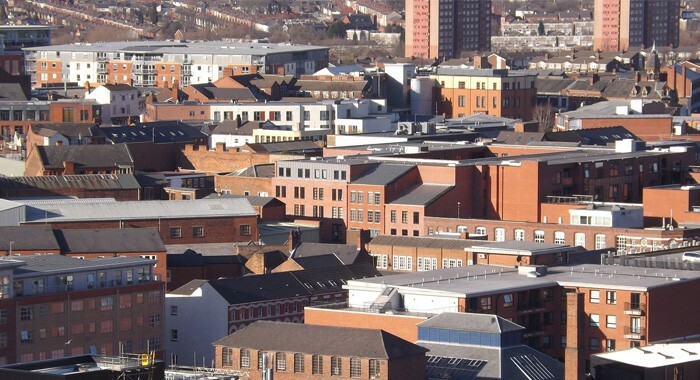 They’re within the Birmingham City Centre Enterprise Zone and targeted for huge regeneration. Birmingham City University’s new campus at Eastside was one of the first regeneration projects here. The new HS2 station will open at Curzon Street in 2026 and will be one of the network’s busiest. Digbeth has a reputation as a trendy, fashionable area – the Sunday Times has called it the coolest neighbourhood in Britain – and it’s an area that is attracting more attention from developers. Average asking prices here (B5 postcode) reflect the fact that a lot of properties currently on the market here are higher end flats. Yields of 5-6% are possible. The inner city districts north of Birmingham city centre have some of Birmingham’s cheapest property prices. They’re popular with landlords looking for budget buy to lets and offering shared or HMO accommodation and good yields are possible. In Aston (B6) where Aston University also has its campus the average asking price is £146,123 and yields are 5%. In Nechells (B7) average prices are £105,495 and Totally Money says a yield of 9% is possible – some of the area’s highest yields. Also just north of the centre Erdington is a lower-cost housing area very popular with tenants looking for lower-cost accommodation… and landlords looking for cheap property. It’s also popular for student lets. Another plus point for Erdington is its great public transport and road links into the city. Yields are around 5-6%. The Athlete’s Village for the 2022 Commonwealth Games will be built at Perry Barr. After the games, this village will be used to provide 1,400 new homes. There will also be improvements to public transport, a new railway station, new shops and other regeneration here that will boost the wider Perry Barr property market. The average property price in Perry Barr (B42) is £146,428 and yields are 5%. The Handsworth average is £195,510 with yields at 4%. The South Birmingham suburbs, including Edgbaston, Selly Oak, Harborne and Moseley are some of the city’s most popular mid-market residential suburbs. They attract professionals wanting to live outside the city centre as well as families. Some of the locations have something of a fashionable ‘villagey’ atmosphere – the Sunday Times has named Moseley as one of the best places for city living. 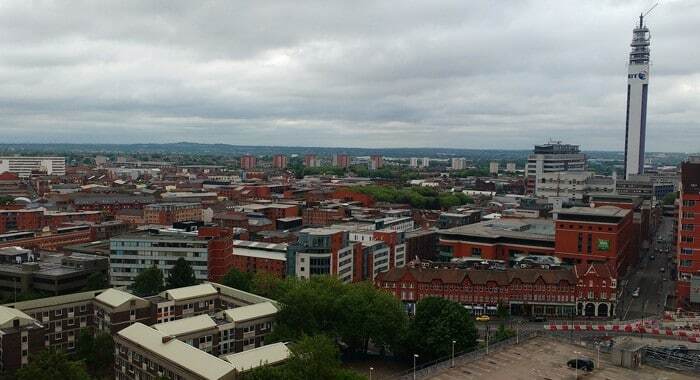 Birmingham University also has its campus at Edgbaston so some areas are popular for student accommodation – although some students have been drawn to live in the city centre in recent years. Average asking prices in Edgbaston are £294,495 and Selly Oak £237,741 while Moseley is £325,326 and Harborne more expensive at £356,589. This means yields in the dearer suburbs can be tight at 3-4%, although a good student investment property could return 10%. In contrast to many cities, prices drop further out. Stirchley (B30) for example offers good value properties with an average of £190,427 making yields about 5% and up. Or the Royal Town of Sutton Coldfield to use its full title is a town in its own right, although still within the City of Birmingham district. It’s one of Birmingham’s more affluent areas and very popular with families due to its good schools and commuting – the 20-minute train journey into Birmingham New Street operates every 10 minutes. Average prices here some of the highest in the area and yields (B23) are about 4%. Solihull is also one of Birmingham’s more upmarket residential areas. It’s also a borough in its own right, quite separate from the city. Solihull is a bit cheaper than Sutton Coldfield but still at the top end of Birmingham property prices. Yields (B90-B94) are around 3-4%. Lastly, investors who are interested in Birmingham might keep an eye on the Birmingham Airport area. As well as the airport expansion programme there’ll be a new HS2 station and transport interchange here. There are also plans for a large scale commercial development with 4,000+ homes known as UK Central Hub. To be developed over 20 years, £900m has already been committed to building new infrastructure to support it. Note: Population estimates are based on ward population estimates from Birmingham City Council. Current average asking prices are taken from Zoopla and buy to let yields by postcode are taken from Totally Money Buy-to-Let Rental Yield Map 2018/2019.